When preparing for an interview, it is important to know the company you are hoping to get a job with. Look them up online. Check out their profile on Linkedin. What are their values? Are they involved with community activities? If you show that you took the time to learn about them, they may feel more inclined to take time needed to get to know you. There is an article written for those who interview new employees. It was written by Steve Cody. The title of the article is: 13 Types of Job applicants You Should Never Hire. They were consolidated into the 10 tips below. 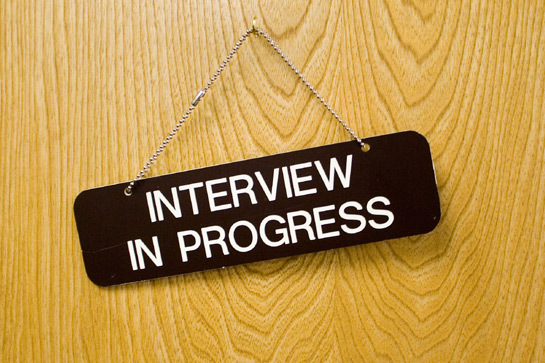 Use these interviewing tips for anyone looking for a job. One is the “What’s in It for Me?” Guy. All this interviewee wants to know is about vacation time, the sick days, raises and so on. This individual is not interested about the company at all. As mentioned above, learn all you can about the company. Speak straightforward, not in analogies such as a sports enthusiast. “I can hit the ball out of the park for you.” Yes, you have been out of work for a while, but the interviewer is not responsible. Do not try and make him feel guilty about your situation, that if he does not hire you, you will go under. Do not become a Chatterbox. There are questions that you will be asked. Answer them in a clear manner, with an example if it may help, but do not go on and on. Stay on track with the question. In contrast, One-Word-Answer interviewees are quickly discounted. They should not have to pry their answers out of you. Have some reports or stats available in a neat and readable format if applicable. Stick to the Facts, no Stretching the Truth. If you exaggerate your accomplishments, it can easily be found out via research later. If you get the job because of your stretched out skills, the truth will come out very quickly with disastrous results. The Chameleon interviewee who will take any job offered, is not well thought of. Most employers prefer applicants who know what job they will fit into and which they are not suited for. The Drop-in is not a good approach. Never drop by without an appointment. You cannot expect the company to be able to ‘work you in.’ Being aggressive may fit in some businesses, but not all. Watch how you speak! Humm, yeah, like, maybe… are not good vocabulary for any job interview. Stop, collect your thoughts and then speak. You do not have to fill in blank space. That mobile-device.. turn it off and put it away! Sloppy in dress and written information. Know the dress code of the company and dress accordingly. If handing in a report or data of any kind make sure it is done in the correct format. Double-check all spelling and stats in the document. Check us out and then contact us. Together we will help you find the job that fits your skills and needs.. This entry was posted in Gradcast and tagged find job, Gradcast, Gradcast.com, interview, interview tips. Bookmark the permalink. « HAPPY FOURTH OF JULY!! !